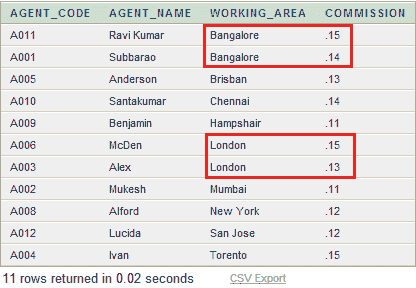 The ORDER BY clause orders or sorts the result of a query according to the values in one or more specific columns. More than one columns can be ordered one within another. 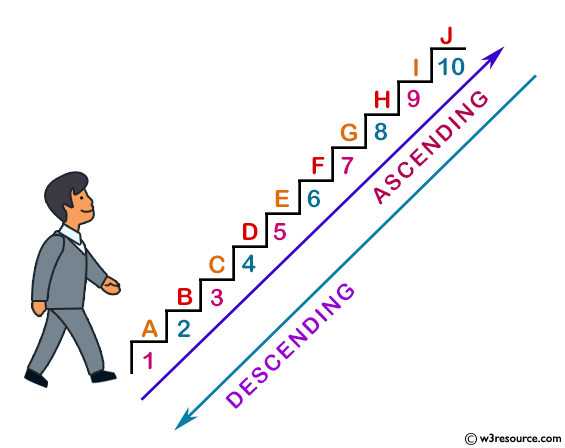 It depends on the user that, whether to order them in ascending or descending order. The default order is ascending. The SQL ORDER BY clause is used with the SQL SELECT statement. Note: SQL ORDER BY clause always come at the end of a SELECT statement. 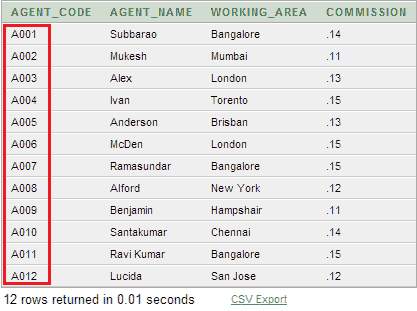 SELECT <column_list> FROM < table name >. columns Name of the columns which will participate in ordering. 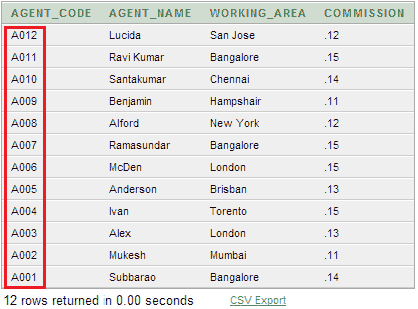 Find the agent name, working area and commision; sort the result by agent code ascending order. 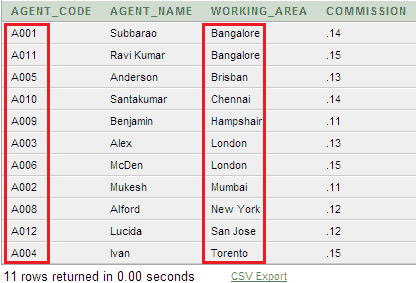 You can use the ORDER BY clause to sort the result of a query according to the values in more than one columns.